JVC has long been at the top of the ladder in technological leaps, especially for filmography. Their impressive array of HD camcorders took the world by storm in 2004, essentially helping revolutionize 3D camcording. And now they’re at it again with their new Handheld Camcorder, the JVC GY-HM15OU. Designed to be one of the most workflow effective camcorders on the market, it seamlessly relays recording for backup and duplication of HD MP4 and SD AVI file. It automatically records Apple’s Quick Time (MOV) file format into a Final Cut Pro for a better and more convenient transition into digital storage mediums. Our JVC GY-HM15OU review also found the camcorder to be highly efficient in transitioning from SD to HD by featuring a shooting mode in standard DV 25 Mbps format. You can choose between an MOV or AVI file so you can directly edit using your NLE systems. Best of all, it allows for simultaneous recording without requiring any additional equipment and accessories. It is the very epitome of portability and convenience. 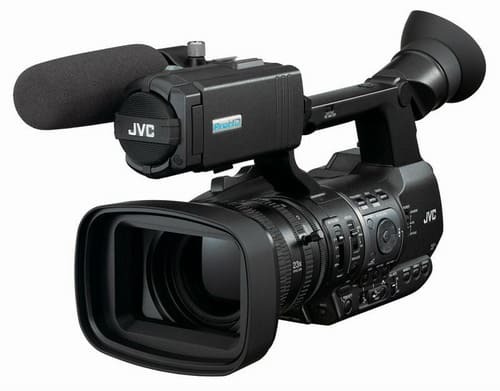 The most attractive feature of this handheld camcorder is JVC’s new Dynamic Digital Signal Processor. It is a highly revered MPEG2 encoder which processes video signals reaching up to 35Mbps. This clever little DDSP allows for full interlace into 1920 x 1080 HD video. Talk about top quality! 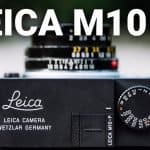 It also boasts of a Rotary Optical Image Stabilizer which efficiently corrects camera shaking and static without losing high definition resolution for the video. Our critical series of JVC GY-HM15OU reviews has also found the 10x zoom lens by Fujifilm highly commendable. In conjunction with the traditional notion of handheld camera devices, the Fujifilm HD lens maximizes optical camera performance while still minimizing weight, size, and portability. For users, one of the most convenient features of the GY-HM15OU is the Focus Assist, which JVC exclusively designed to ensure accurate and top quality HD shooting and recording. When switched on, the video subject appears in the LCD monitor as monochrome, only the objects you want to focus on will appear with colored edges. 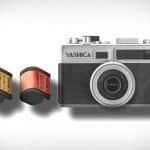 This is a convenient addition that can turn amateur videographers into pros. What’s even more impressive is that we’ve found the overall design of the camcorder extremely ergonomic. JVC has definitely planned for convenient and comfortable handgrip, allowing operators to use the camera on longer shooting periods. Best of all, the main functions of the device are easily accessible; switches and controls are specifically located for a better user-friendly factor. Lastly, the camcorder comes with a wired and wireless remote control feature. With a remote interface at 3.5mm connector, users can operate the device via remote control. This is especially convenient when using the camcorder on a tripod, jib, crane, or boom. You can also use an infrared remote control for better access. You definitely don’t have to be a pro to handle this baby. Gone are the days when you missed those special moments just because you forgot to press the “Record” button on time. Now, this handheld camcorder comes with a Pre Rec Mode, which allows you to have 5 seconds of startup video. This cached copy is then included in the recorder file, conveniently giving you a terrific head start. Another great feature is the Time-Lapse, which gives users complete control in terms of recording intervals and frequency settings. This is perfect for operators who have minimal time editing or have a preference for time lapsed sequences for their videos. Finally, the camcorder’s design has versatile input switching and independent channel outputs, both for mic and line-level receivers to be connected. Recording levels for audio and visual channels are also easily controlled and monitored through projections on the LCD monitor. JVC has been touted as one of the leaders for innovations in video and digital technology. But the GY-HM15OU is certainly one of their more impressive models out on the market. It showcases great potential for both amateur and pro videographers, especially when it comes to quality, efficiency, and portability. 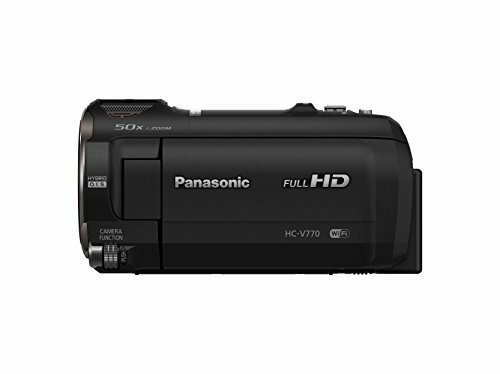 Combining its high tech features and practical controls, you definitely shouldn’t miss out on this high-end camcorder.